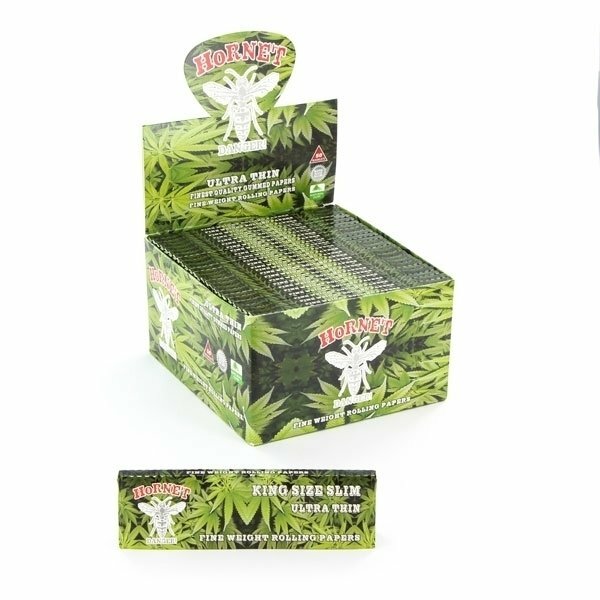 Fine weight ultra thin rolling papers king size slim with gumming by Hornet. Content: 32 leaves. Size of leaves: 11cm x 5.4cm.